Capcom Generation ~Dai-1-shuu Gekitsuiou no Jidai~ (カプコン　ジェネレーション　～第１集　撃墜王の時代～) is a Shoot-em-up game, published by CAPCOM, which was released in Japan in 1998 for the Sega Saturn. Capcom Generation 1 NTSC-J Japan Import CIB Complete w/ NEAR MINT Sega Saturn! Capcom Generation 1 w/reg card flyer Sega Saturn SS Japan Very Good condition! 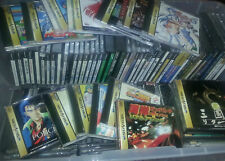 Choice Of Excellent Japanese Import Sega Saturn Games/U.S. Seller/Free Shipping!